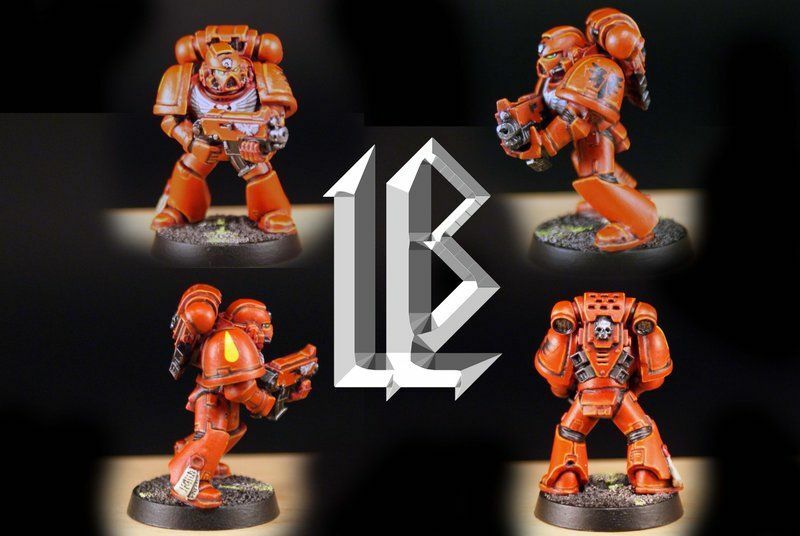 I assume you gloss coated the transfers after application and then matte coated the model afterwards? Yes! I gloss the surface, apply transfer, then apply a thick layer of gloss over the transfer. Alright!! Off to the workbench to get painting. what brush size do you use in the video? Excellent as usual, Les. Keep it up! As always, superior painting with amazing video=pure win. I think what you're doing is great for the community (especially those just learning!) and I enjoy most of your other stuff... but this just isn't doing it for me. It doesn't seem to be the same quality as the rest of your stuff. In any case, I'm still eager to see the next video Cheers! What is the difference between the soft body black wash and the Badab Black wash? ^If you want to see if it works, sign up and ask people in the chat. randomfrog wrote: What is the difference between the soft body black wash and the Badab Black wash? Soft body is thinner with less dye. Much like DIDI's Magic Ink or WonderWash. Use any Black Wash in that step. Does it have a significantly different effect? No the purpose of the wash is to outline the details and treat the mini like a coloring book and paint inside the black lines. If the wash you use is thin it makes the color clean up a faster process. GirlPainting on youtube does it with badab black for the same purpose and I liked the process and added it to my steps. Never said Raven Guard was next. All the main chapters will be hit then the side and splinters as well as pre heresy. Imperial Fists is next at the moment. LBursley wrote: Never said Raven Guard was next. All the main chapters will be hit then the side and splinters as well as pre heresy. Imperial Fists is next at the moment. Just wanted to say thank you again for making such awesome tutorial videos and sharing them with all of us!